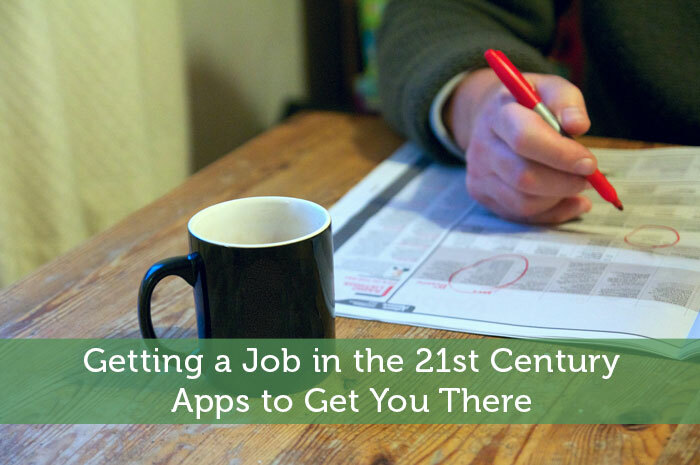 The following is a guest post about getting a job in the 21st century. If interested in submitting a guest post, please read my guest post policy and then contact me. The days of scanning the classified ads for a job are long gone. Today, you have to reach out to companies to find that dream job, but that takes time. Using a smartphone can give you an edge on finding that next step for your career. Here are a few ways to utilize your phone to make sure that the job search isn’t as daunting as it can feel. Networking is the most important part of any job search. It connects you to professionals who can get your resumé to the right people in the companies that you want to work for. Download LinkedIn’s app for your smartphone. The app is home to a sea of professional contacts, each with their own specialities, from marketing to corporate accounting to Blackberry enterprise mobility management. Just create your profile, list your talents, and start networking anywhere. It’s that simple. Who knows, you might discover you already have links to people in your industry that are willing to give you a job. LinkUp is a job seeker’s dream. It constantly scans job listings posted on thousands of company websites so you don’t have to. Instead of surfing through hundreds of company websites looking for job postings, let the Internet do the work. You’ll find a tidy list of fresh job openings in your inbox each day. Set aside some dedicated time to review these. This makes filling out the right job applications or responding to interested emails a breeze. Indeed.com has grown to become the place to find a job. The website scrapes the Internet, gathering job postings from a plethora of company websites, job boards (such as Monster and CareerBuilder), and even freelance sites like Elance.com. It’s basically a one-stop shop for jobs. The app includes all the job listings on the main website. Scan the listings while you ride the subway to your present job, or surf through potential job opportunities while you sip a latte at your favorite coffee shop. You can even apply to jobs with one click right from your phone, after you upload a resumé to your profile on the main site. If you need help creating a clear, concise, complete and easy-to-digest resume, download Pocket Resume. It helps build the perfect resume and sends it to hiring managers. No more fussing with a resume, and spending hours sending it out into the ether. Keep the latest version of your resume synced up with all of your devices, including your smartphone. You can do this by getting Dropbox from one of the various app stores or from their website and making sure you always have a recent version of your resume and references in the cloud. Tired of losing emails or forgetting who you sent which resume to? If so, Jibber Jobber wants a spot on your phone. This app will track all of your contacts, so you can remember who you sent your resumé to, as well as who wants to interview you. This app is indispensable if you are forgetful and have trouble remembering names. These apps can’t guarantee a job, but it’s difficult to get one without them. Put them on your phone today and you’ll have a better chance at getting that job tomorrow. Nice list of apps here for job searching. I’ve used indeed before and it does a pretty decent job of finding job postings. Not all of them though so I keep a list of potential companies to look out for. Indeed does seem like a pretty solid app. If craigslist wasn’t so dominant for ad listings in my industry/city, I’d be all over that. I really need to get better about utilizing linkedin. With all the social media I’m already keeping track of, sometimes I fall behind with what might be my best networking tool. I think it can be pretty valuable if you’re in any industry where an employer may be looking up your name online. Then there are some industries where employers will specifically look you up on linkedin. Great list. It’s all about building your network of contacts to land that awesome job. LinkedIn is a great way to get started – just start inviting people you know until you can’t find anyone else new. It make take 2-3 weeks, but most people will be able to make a couple hundred contacts this way. Building solid connections can definitely help a lot, but it’s usually just one piece of the puzzle. Sometimes you just have to be lucky enough to come across that job listing that perfectly fits what you’re looking for. I have used indeed a couple different times when I have done job searches. I like knowing that I can pull job postings from multiple sources around the same area. I don’t ever use indeed to apply to the jobs, I go straight to the source instead. Still, it is a great source for leads. I’d probably go directly to the source too to ensure my application is exactly how I want. Anything that helps find job listings easier is a welcome tool. Thanks for sharing those apps. I’m looking forward in using them when I start looking for my first real job. LinkedIn is the best, but don’t forget Youtube. It’s chock full of useful videos on things like – how to improve your LinkedIn profile, how to network your way into a new job, common interviewing mistakes, etc. Good list! I am a big fan of indeed as it aggregates job listings from many different sites so you can go there for the one stop shop. I also agree with others that LinkedIn is very valuable for the job search. I love LinkedIn, but I don’t use any of the other apps. Love the suggestions! I find it helpful to track my previous colleagues’ and connection’s careers with LinkedIn which is great when I need an ‘in’. I agree, nowadays there are so many methods to go about about looking for and applying for a job, it definitely isn’t your moms job market anymore. Lol. Love the tips and ideas above, and as everyone said LinkedIn is huge in certain niches – so it’s almost necessary in certain career fields. Join up today.